Welcome to STAND FIRM Enterprises! We have a passion for processes that strengthen and empower people to live to their full potential. 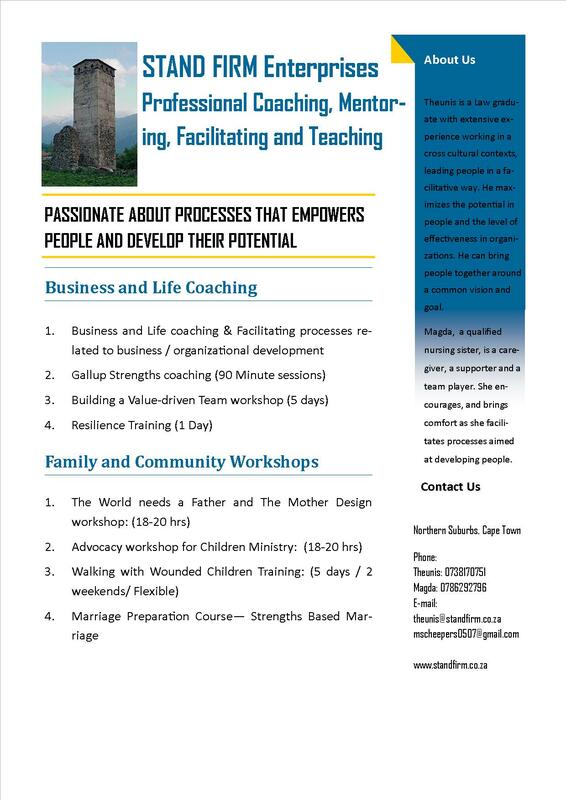 Our desire is to help people “facing their storms” through Business and Life Coaching and through Workshops equipping people to help others. We offer a range of services and we can also plan and present topics on demand.